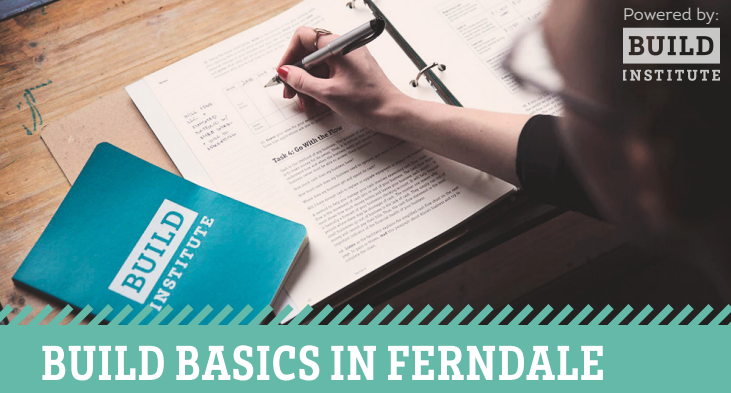 In partnership with the Build Institute, the City of Ferndale is excited to host an eight-week business and project planning class for aspiring and established Ferndale entrepreneurs. This eight-week course will be taught by local experts and will cover all the basics of starting a business - from licensing to financial literacy, market research to cash flow and more. You will leave the class with a drafted business plan, a cohort of fellow entrepreneurs in Ferndale, and the knowledge and confidence to take your idea to the next level! As space is limited, please note that registration is required for course participation. The Build Basics Ferndale course will be held on Wednesdays from 6-9 p.m. Classes will be held October 3 through November 28, 2018 (with a break for Thanksgiving) at the SheHive located at 2505 Hilton, Suite 107, Ferndale, MI 48220. For more information or to apply, please visit buildinstitute.org/ferndale.